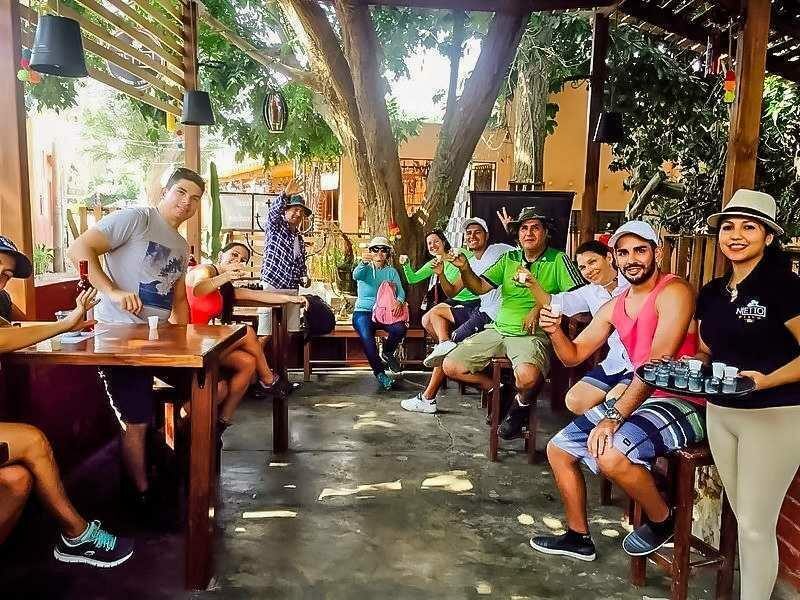 Do you want to get away from the routine and do not know how? What do you think of a trip? 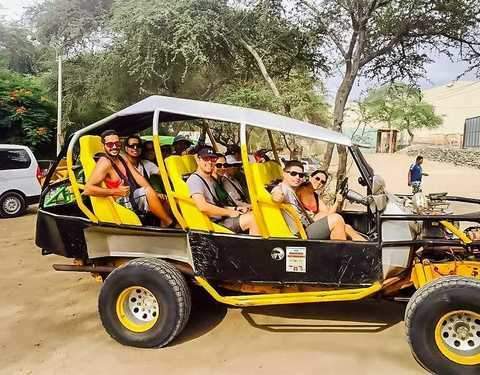 You do not need to go so far from Lima ... come to Ica and you will discover the best combination of Escape + Relax + Adrenaline !! Get on a glider and sail to see the fascinating Ballestas Islands and observe the Candelabra and the diversity of marine species. 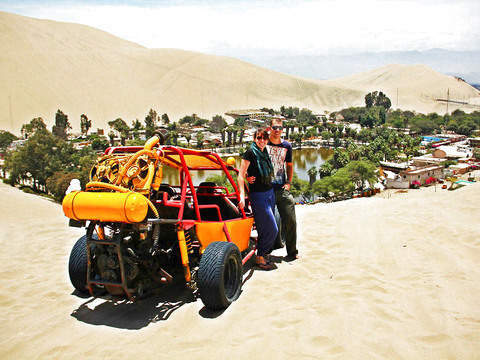 Enjoy an adrenaline ride through the dunes of Huacachina in our tubular cars (sandboxes). 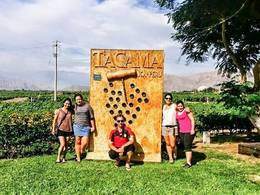 Enjoy the delights of the grape such as pisco, wines and cachinas. Ica: Pick up from Bus Terminal or Hotel. 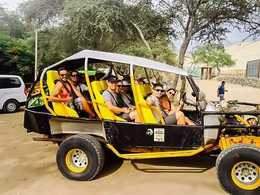 Pick up from the hotel is always within the urban area of ​​the city (Center) and prior coordination with the operator. 6:30 am - Pick up from the Hotel or bus terminal in Ica. 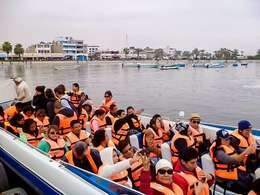 7:00 am - Transfer to the Bay of Paracas. 8:00 am - Islas Ballestas Tour: We will see the enigmatic figure of the candelabra, rock formations, and the extraordinary marine fauna such as sea lions, penguins, pelicans, pikemen etc. 10:00 am - Free time to have breakfast, buy crafts or take pictures. 11:00 am - Return to Ica. 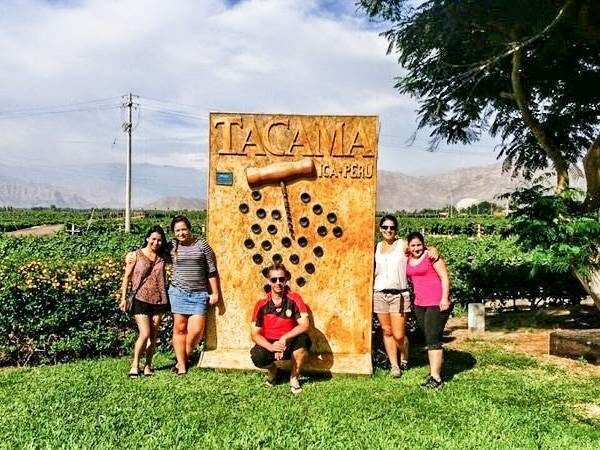 1:00 pm - City Tour Ica: We will visit the Plaza de Armas and its surroundings, the church and Alameda de Luren, the wine-making winery "Catador" (we will learn about the process of making Pisco) and the mysterious town of Cachiche (see palm tree of seven heads and the monument of the witch). Lunch (on behalf of the passenger). 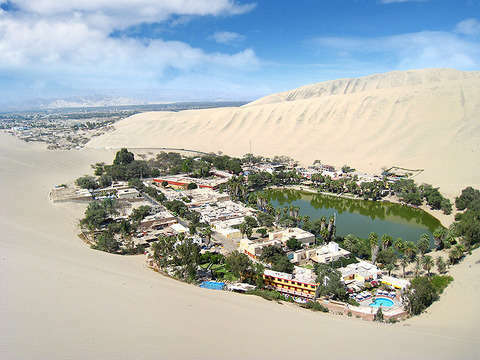 Finally, we will visit the "only Oasis of America": La Huacachina, surrounded by immense dunes and palm trees. We will have free time for purchases. 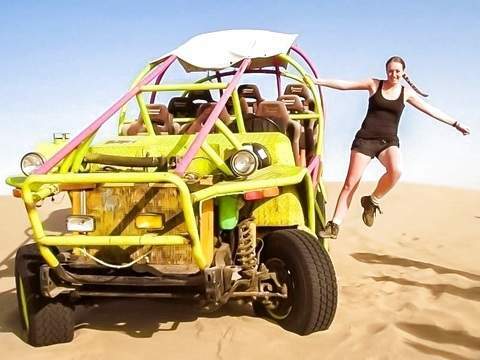 In the afternoon: Adventure Tour Buggie + Sandboarding - Live the extreme adventure aboard the Areneros Carts in one of the most spectacular deserts of the Peruvian coast. Sandboarding is also included so you can slide on the dunes. Return to the hotel or transfer to the bus terminal. Pick up from the Hotel or Bus Terminal in Ica. 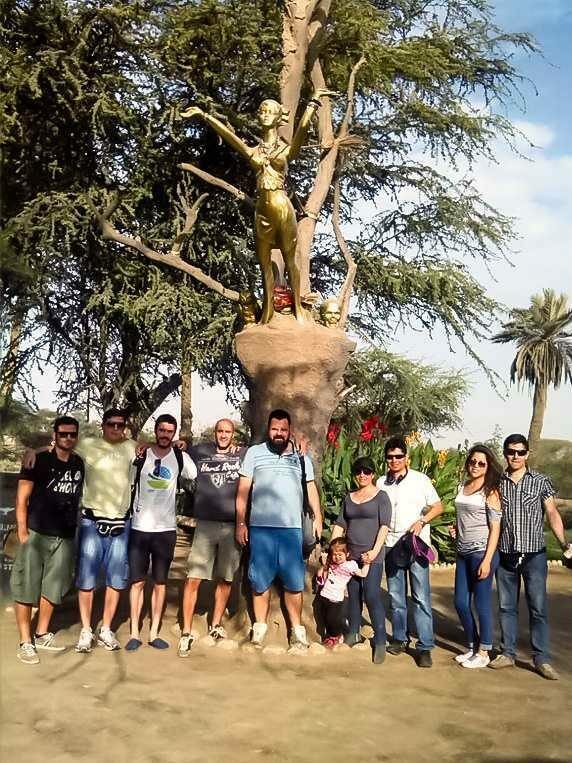 City Tour Ica; Plaza de Armas, Temple and Alameda de Luren, Brujas de Cachiche, 7 Heads Palm Tree, Wine Cellar, Huacachina Lagoon. 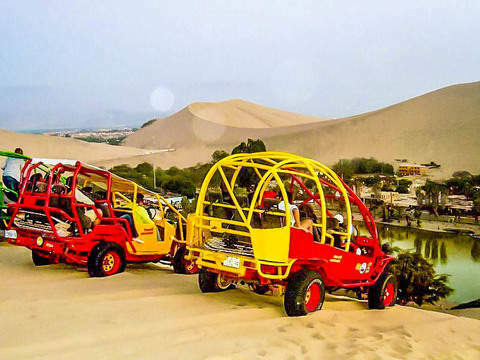 Adventure Tour: Buggies & Sandboarding. Bus Tickets Lima - Ica - Lima. 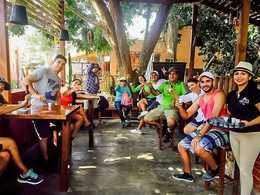 Tickets: Paracas S / .17.00 / Huacachina S / 4.00. Children up to 3 years old, do not pay. They share seats in mobility and services with parents (under their responsibility). The travel time in Los Carros areneros (Buggies) is 1Hr. interspersing the sandboarding practice of 2 to 3 slides. If you do not attend the service day, it will be considered as "Done" without any Claims, Delays or refunds.